States, "The City Council of this City have been officially notified that the City Councils of Brooklyn, N.Y., and Baltimore, Md. 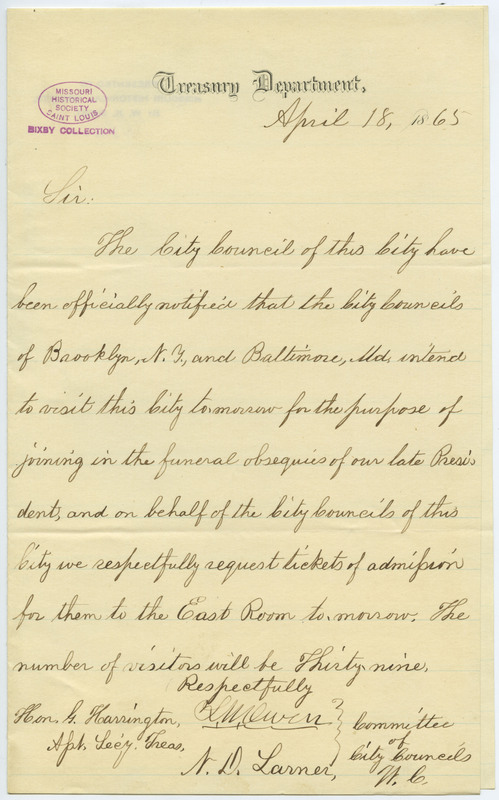 intend to visit this City to-morrow for the purpose of joining in the funeral obsequies of our late President, and on behalf of the City Councils of this City we respectfully request tickets of admission for them to the East Room to-morrow. The number of visitors will be Thirty-nine. . . ."